Check back here often in the future to see many of the available deals for all of our destinations! A1 Elite offers Orlando limo and Town Car service for Corporate, Walt Disney World, Port Canaveral, Weddings and statewide Florida residential locations. Looking for matching shirts for your next family vacation? Look no further! 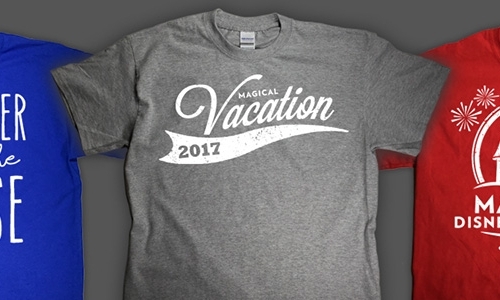 We've become the leader in matching vacation shirts because we make it fun and easy to order unique, artist-inspired designs. SpringFrame is a revolutionary canvas print, that gives the customer an art quality frame in 3 sizes made from one piece of cardboard,1/3 the normal price! The Jayden Lamb Memorial Foundation™ helps families heal after they have lost a child to cancer by sending them on a vacation of their choice to get away and have some time with their spouse and/or children.